​Votorantim Cimentos inaugurates today, November 5th, its new mortar plant in Camaçari, Bahia, in Brazil's northeast region. The unit received investments of R$ 25 million, generating 80 direct and indirect jobs, and will attend to the states of Bahia, Sergipe and Alagoas' markets. With a production capacity of 206,000 tons of cement a year, the new plant produces a complete portfolio of basic and adhesive mortars of Votomassa and Matrix brands. "Camaçari's plant is part of a major investment plan of Votorantim Cimentos. Even with the challenging environment, we move forward with the long-term view and confidence in the development of the country and especially in the Northeast ", explains shareholder and member of the Board of Votorantim Cimentos, Fabio Ermírio de Moraes. "The installation of a Votorantim Cimentos' mortar plant in in Bahia shows the importance of the Northeast market and the great potential that our state offers to new ventures. The government of Bahia has worked tirelessly over the past nine years, to attract more investment, while investing in infrastructure to provide companies who settle in our state the best conditions for the establishment of their businesses ", said Bahia's Governor Rui Costa. "The county welcomes with open arms Votorantim Cimentos' new factory, which comes to strengthen Camaçari's Integrated Industrial Hub - the largest in the Southern Hemisphere; create more jobs and raise incomes", says Camaçari's Mayor Ademar Delgado. "Votorantim Group is nationally known not only for the quality of its product, but also the sense of social responsibility that has always shown", highlights. 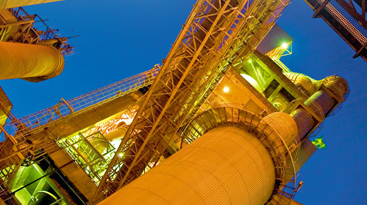 Camaçari's plant is part of an R$ 5 billion investment plan through 2018, which include the construction of five cement plants in Brazil, as well as units in Turkey, USA and Bolivia. Governor Rui Costa During Camaçari's mortar plant​ inauguration ceremony​.